The fur of the bichon frise is distinct. Extremely white, soft and fluffy, it’s like cotton candy, or a whisp of cloud. This architecture resembles the bichon frise--with its fascinating fur, but one size larger. The overall shape is that of a slightly compacted sphere offering the ideal indentation, a space in which a bichon frise could be comfortably settled. 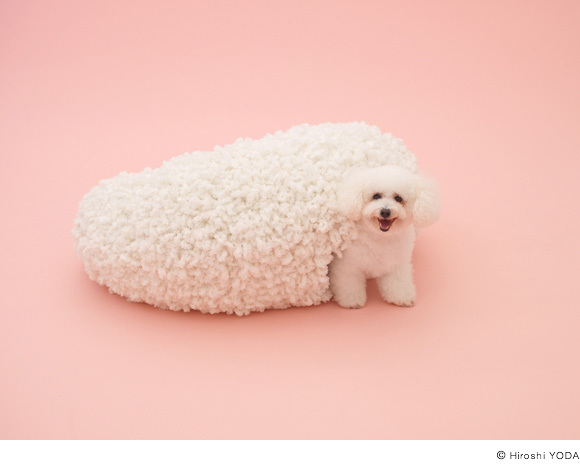 Our goal was to create a shape that would be completed by the reclining bichon frise. Dog and architecture would become one. The structure is simple; we took MDF [medium-density fiberboard], cut it into a belt shape, and rounded it into a ring; By gradually changing the length of the radius of each ring, we laid out the rings in a radial pattern and bound each component with kite string. We then created the surface by using a knitting method that rendered a very fluffy appearance. There is a small hole in the back of the structure, through which the bichon frise can enter and leave." Born in Japan’s prefecture of Ibaraki, Kazuyo Sejima received a degree in architecture at the Japan Women’s University in 1981. Upon completion of her studies she began working in the office of architect Toyo Ito. In 1987 she opened her own studio in Tokyo and then in 1995, together with Ryue Nishizawa, she founded SANAA. 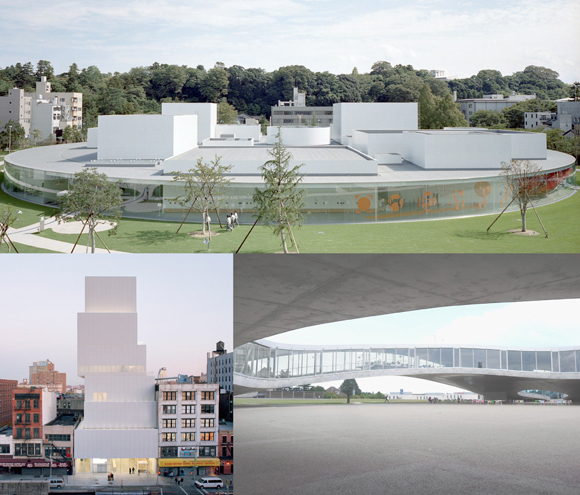 SANAA’s main works include The 21st Century Museum of Contemporary Art in Kanazawa (Kanazawa, Japan, 2004), The New Museum of Contemporary Art in New York (New York, USA, 2007), and The Rolex Learning Center, EPFL (Ecole Polytechnique Federale de Lausanne - Lausanne, Switzerland, 2009). The Louvre Lens project is currently under construction. Kazuyo Seijima was awarded the Pritzker Prize in 2010.